Start testing as soon as possible, as it may take you several tests to complete the validation tasks. The validation tests will verify that the documents meet The Home Depot EDI mapping specifications. Software needed to test on The Home Depot Testing application – Notepad or other .TXT or .DAT file application. All test data should be copied from the Partners’ live environment. Paste raw EDI data in Notepad; be sure to remove any Unicode (unprintable) characters. Testing will be complete when The Home Depot can successfully translate all inbound documents. Multiple Purchase Orders can be mapped per ASN for one location. All ASN scenarios used by the partner must be tested. ASN transactions are required for all regular merchandise orders. The ASN shipment detail must match the physical shipment. ASN’s must be transmitted at the time of shipment. This is based on the need for the ASN to arrive at the store prior to receipt of goods. Rejected or erred ASN’s must be corrected and re-sent within a timely manner with the same doc trace ID. Valid payment terms must be mapped in accordance with ANSI standards. Map the payment terms according to the terms of your Supplier Buying Agreement. A payment terms matrix is provided in this document to assist in mapping. Invoice date must be less than or equal to the current date. Currency type must be in accordance with the terms of your Supplier Buying Agreement. Appropriate hash total calculations to sum the number of line items and total quantity. All charges and allowances must be mapped at the summary level SAC segment of the invoice using the retail method of accounting (refer to the mapping specifications). The invoice total must include any SAC segments. Rejected or erred invoices must be corrected and re-sent within 5 days with the same doc trace ID (invoice number). The 997 must be at Transaction Set Level (include the AK2 and AK5 segments). 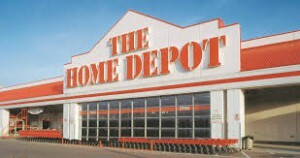 Home Depot requires a 997 within 12 hours of receipt of all outbound documents. Want to run a succesful The Home Depot EDI integration? Sign up for professional EDI courses at EDI Academy.